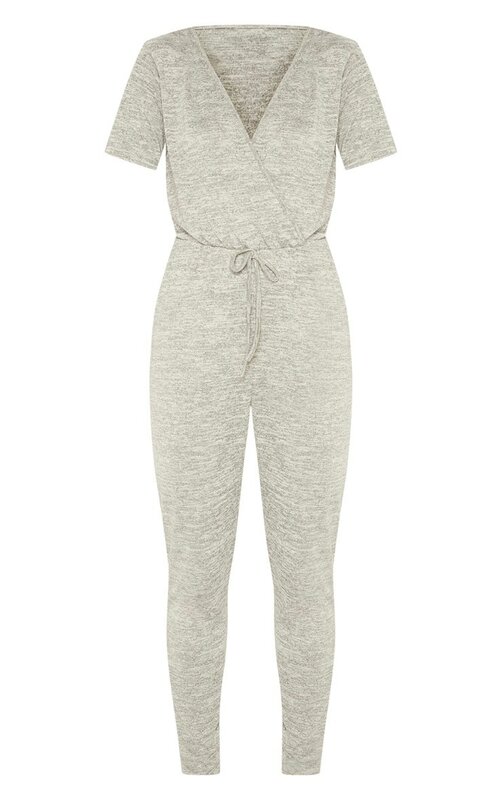 This knit jumpsuit is perfect for a chilled off-duty look. Featuring a stone knit material with a wrap over front and a tie detail. Style this jumpsuit with some fresh kicks for an ultimate off-duty look.